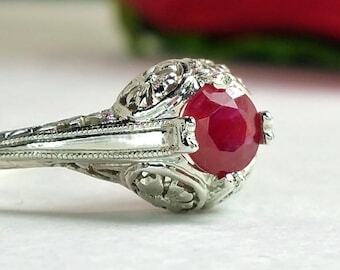 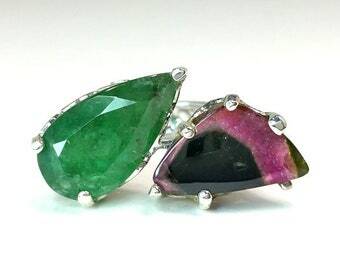 1/2 ct Ruby Ring in Platinum / Rare Natural Untreated Round Ruby in Vintage Art Deco Engagement Ring / De Luna Gems / Free Shipping! 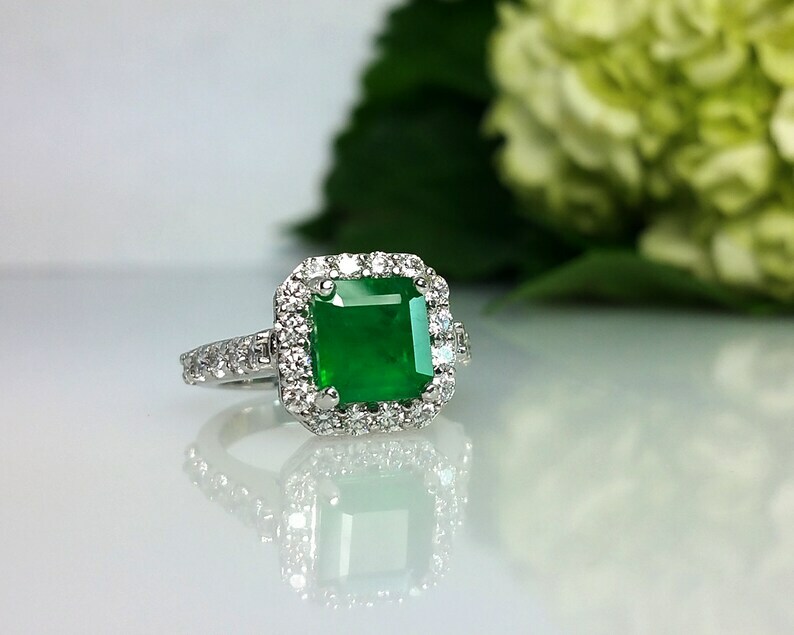 This striking Emerald ring is an impressive, yet graceful masterpiece worthy of royalty. 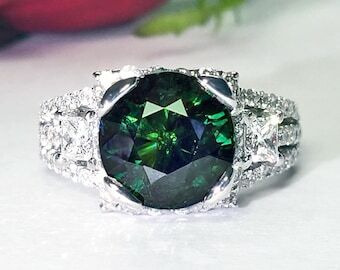 It is the perfect symbol of love that reflects your appreciation and timeless adoration of an uncommon, classic beauty. 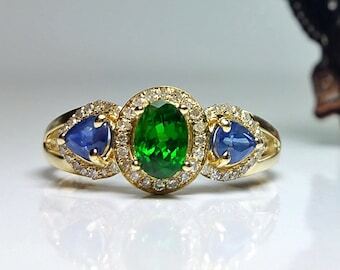 This is art at it's finest! 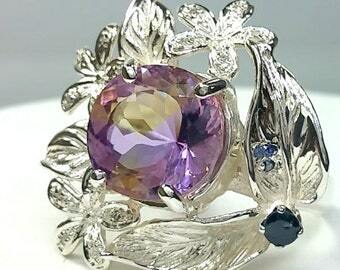 The setting is a vintage platinum ring that I have restored to pristine glory. 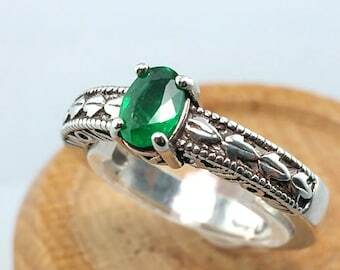 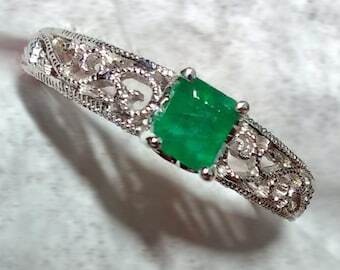 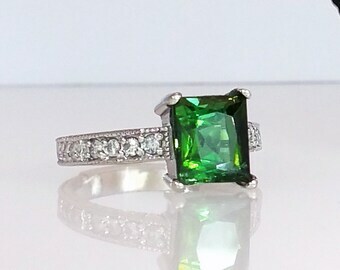 I have set a newly Earth-mined 1.34 ct. Emerald that comes by it's color completely naturally and without any treatments. 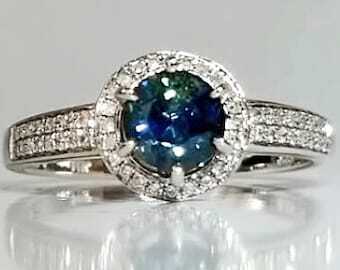 This gorgeous gem is boldly showcased with a halo of diamonds that dazzle the eye in every angle. 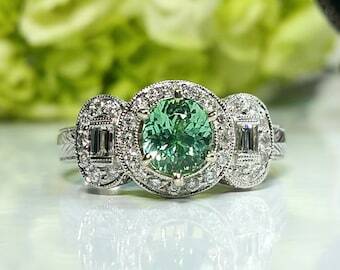 There are a total of 1.18 carats of very generously sized diamonds gracing this regal piece. 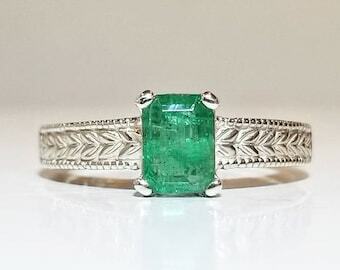 "Green is the prime color of the world, and that from which its loveliness arises"